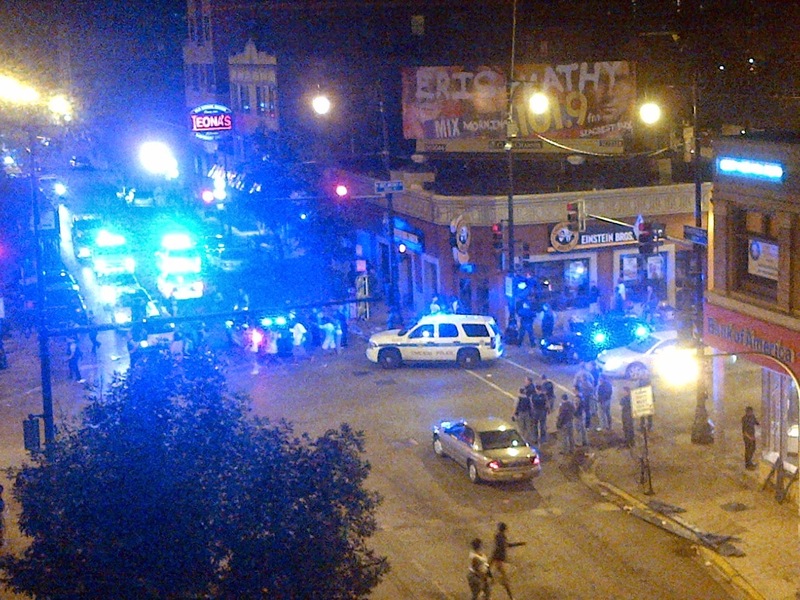 A Chicago Police car is used as a dance floor during the 2013 Pride Parade. 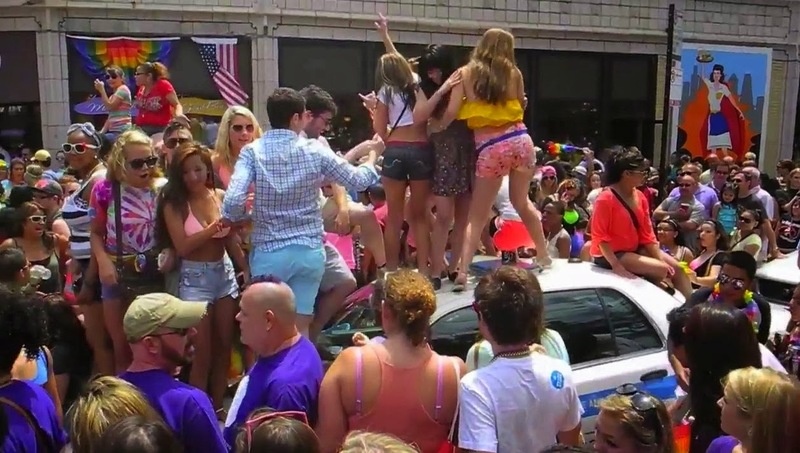 The Chicago Police Department's annual warning about an impending crackdown on drinking at the Chicago Pride Parade caused the annual roar of gasps and outrage yesterday. Of course, the exact same warnings were issued last year. And similar announcements were made the year before that. And the year before that and...you get the idea. None of that has anything to do with our concern: The largely post-parade mayhem that last year saw at least four people get robbed, scores battered, and forced the police department to close some bars early because near-riot conditions had developed on the streets. Some nice thunderstorms could roll through after Sunday's parade, putting a damper on the BS that has come to mar the festivities in recent years. But the gamblers at CWB live by one rule: "Always bet the streak." And we will. • Stay with the herd. Walk with at least one other person. If possible, tag along with other groups. Muggers and other ne'er-do-wells function just like the cheetahs on Animal Planet. 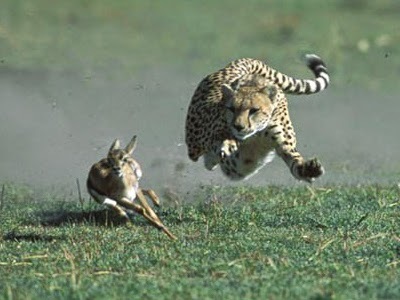 You do not want to be the slowest gazelle. • Carry as little cash as possible. If you can get by with your ID and one credit card, do it. Leave everything else behind. • Avoid using your phone on the street. Look around before you take your phone out in public. Minimize the time your phone is exposed and stay alert when it is out. • Do not get drunk. Okay, fine, we'll meet you halfway. Do not drink to the point that your level of intoxication is apparent in the way you act. Swervy, stumbly people may as well scream "take my stuff!" • Do not engage strangers on the street. Keep walking. Do not stop to give someone a cigarette, a light, or a dollar. • If things start to get even a little sketch, jet! • Leave the area by midnight. If possible, take a taxi. • If you take the train, use the Addison L station. Do not use the Belmont station. • Avoid walking through large groups that are blocking the sidewalk. Go as far around as possible. • Belmont Avenue is a NO GO ZONE between 11:00pm and 6:00am both nights. Stay at least a block away from it, no matter how many people are with you. • On Sunday, Belmont Avenue is a NO GO ZONE after 8:30pm. Stay at least a block away from it, no matter how many people are with you.